"Your anti-immigrant rhetoric, lack of social compassion and barely disguised racism and xenophobia are the antithesis of what RATM stands for." 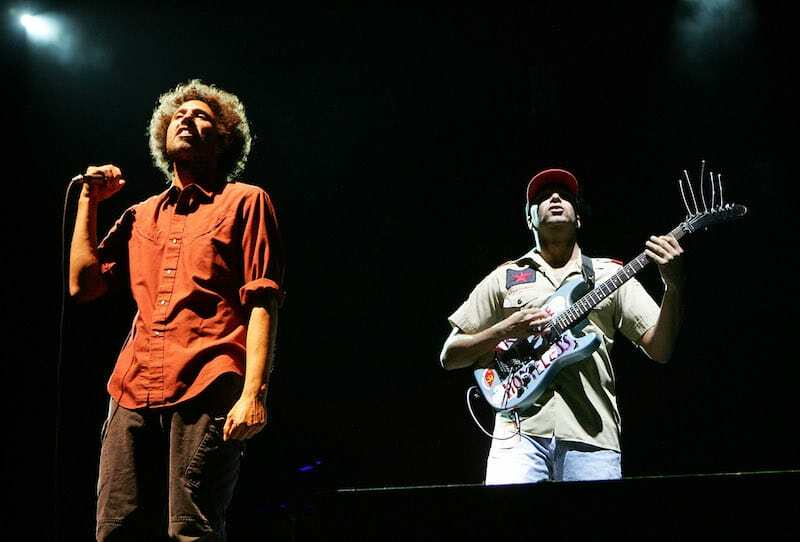 Although they've been on an unofficial break since 2011, however, Rage Against the Machine, one of the loudest and politically charged bands of our times, refuses to stay silent. RATM has a reputation for channelizing their aggression for political causes, sometimes taking direct punches at particular political figures. This time, the target seems to be British right-wing parliamentarian and broadcaster Nigel Farage, and for understandably good reasons. On Tuesday (10 July), Rage Against the Machine's lawyer, Howard King fired off a strongly worded cease and desist letter to Farage over his use of a modification of the band's name for his cringe-worthy podcast 'Farage Against the Machine.' The podcast was launched in March and King's letter asks Farage to immediately stop using the title, which Rage see as an "antithesis" to their values and beliefs, noting that the name and logo (which includes Farage's name with the final four letters lit up in red) "brazenly and unlawfully exploits our client's name and logo without the band's prior knowledge or consent." More importantly, King's note added, the "implication of any endorsement by our client of you or your policies is particularly abhorrent." 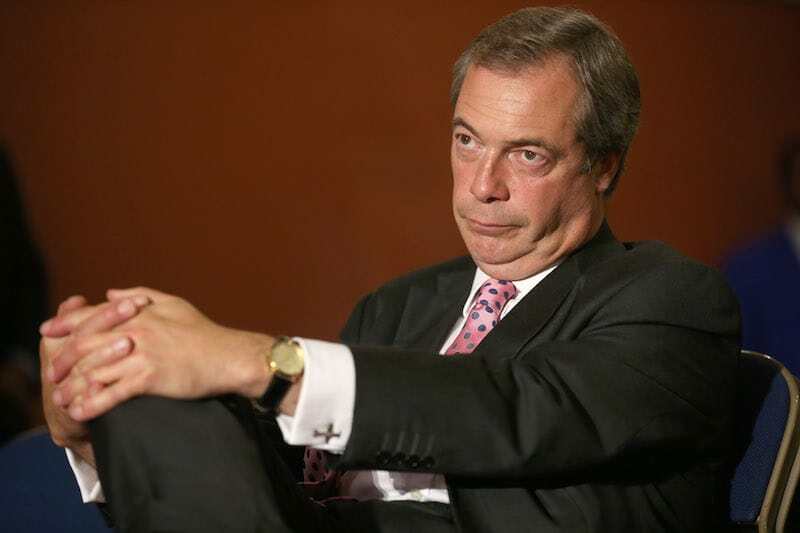 A co-founder and former leader of the conservative UK Independence Party, Farage has become an outspoken anti-immigration and European Union critic, as well as a Fox News contributor. As any RATM fan will tell you, these aren’t the kind of beliefs Rage Against the Machine would want themselves associated with (in fact they stand for quite the opposite set of beliefs), and they let Farage know it. King's letter notes that the use of the Rage Against name and logo are a violation of the long-established Lanham Act (which covers unfair competition, false endorsement, false designation of origin and false advertising) as well as a trademark dilution statute and common law rights protecting RATM's name and logo in both the U.S. and UK. "In the event the foregoing is not crystal clear, demand is hereby made that you immediately cease and desist from using RATM's name and logo, including by changing the name of your podcast and ceasing and desisting from all promotion, marketing, and advertising of the podcast using our client's name or logo- which falsely associates you, your colleagues at LBC and Fox, and your far-right political views with RATM," the letter concludes. Meanwhile, three-fourths of Rage Against the Machine, along with Cypress Hill and Public Enemy members are part of the supergroup 'Prophets of Rage,' who earlier this week released their new politically charged, blazing single 'Hearts Afire'. The single is the first taste of the supergroup's upcoming sophomore studio album.